It is an often reiterated fact that Tokyo has no longer a historical centre due to a number of tragic events that destroyed most of Tokyo’s heritage: the Great Kantō earthquake of 1923 and the bombings of World War II. Next to that the Japanese like all things new, which makes it hard for anything old to survive. Tokyo is not like Kyoto and some other cities in Japan that have beautifully preserved neighbourhoods where it is pleasant to stroll around and take in the history around you. That being said, Tokyo is not only a city of skyscrapers, but does also host a wide range of old and unique buildings, many of which are open to visitors. The most obvious old buildings in Tokyo are temples and shrines that are scattered all over the city. Yet, it can be difficult to seek out the very old buildings due to the fact that often the establishment date of the temple/shrine is listed in the guidebook and not the construction date of the building. For example, the famous Sensō-ji Temple in Asakusa was established in 648 AD, but was largely destroyed during World War II and rebuilt in 1958 with earthquake resistant technologies. The Japanese themselves will often recommend you to go to late 19th century and early 20th century Western style buildings if you say you are interested in historic buildings. It is true indeed that there are many charming examples all over Tokyo, but as a traveler coming from Belgium, these buildings are no match to the palaces, castles and other buildings you find all over Europe. However, if you appreciate a mixture of Japanese elements together with Western building styles, then you definitely should check them out. Look no further than Tokyo Station (built in 1914). The oldest well preserved building in Tokyo Prefecture is Shofuku-ji temple in Higashimurayama, which dates from 1407. It is a beautiful wooden building, however, designating this place as the oldest building in Tokyo somehow feels not right. It only started to belong to Tokyo as a result of shifting borders, rather than being a representative piece of architecture connected to Tokyo’s history. The same is true for the Pagoda of Ikegami Honmon-ji temple built in 1608, nowadays in the Ota ward, but in the days it was built until the 1930s some distance from Tokyo. Check my earlier article on the geographical borders of Old Tokyo. This overview does not include small structures such as gates and stone monuments. 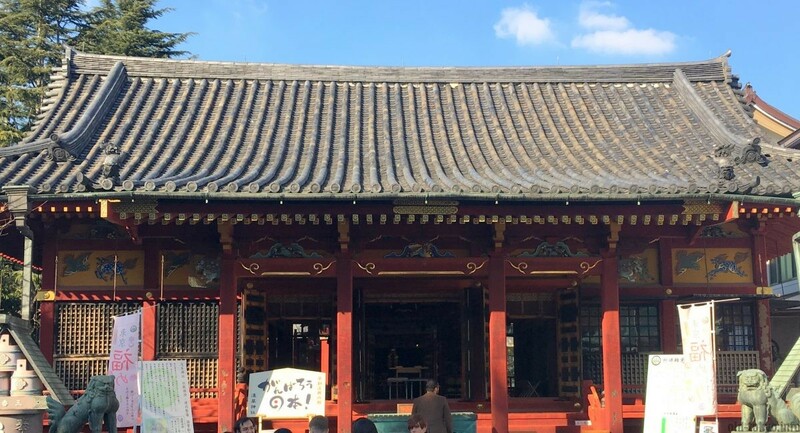 In Asakusa on the grounds of Sensō-ji, you can find for example the Rokkaku-do (Hexagonal temple) built in 1618, which is no bigger than the size of a small shed, and the Nitenmon Gate was built in the same year. At Zōjō-ji, the Sangedatsumon Gate dates from 1622. This is the oldest remnant of the once glorious Kan’ei-ji temple, without which there would be no Ueno park today. At its peak this temple complex consisted of 68 structures, of which the Kiyomizu Kannon-do was only one minor place. The temple is set on a platform overlooking a circle made from pine tree. This circle is called the pine tree of the moon (tsuki no matsu in Japanese) and it represents nothing special actually, it was just a nice shape that became famous with local people and was picked up by Ukiyo-e artist Hiroshige in his One Hundred Famous Views of Edo (1856–59), giving this shape historical significance. Read more about Kiyomizu Kannon-do in my full article. The main building and pine tree of the moon at Kiyomizu Kannon-do. This is the second oldest remnant of the above mentioned Kan’ei-ji temple. This pagoda was originally constructed as one of the buildings that that came with the Toshogu Shrine in 1631. It was burnt down in 1639 and immediately reconstructed. 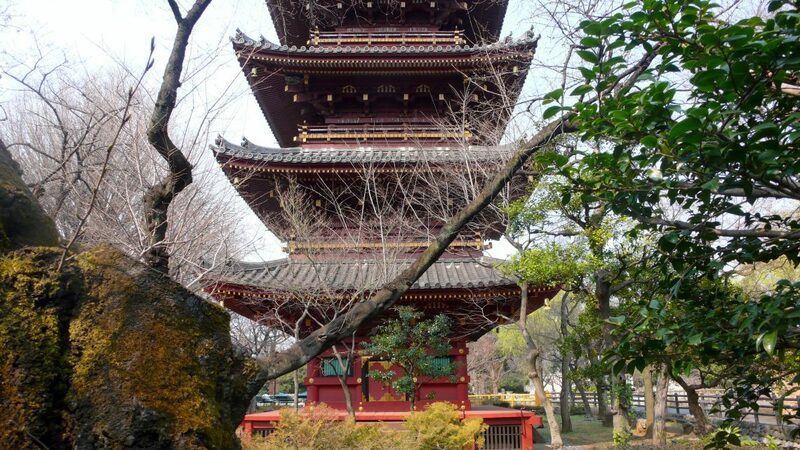 The whole pagoda is coated in red lacquer (ni-urushi), with some touches of gold. It used to store valuable statues of the Four Direction Buddhas, but they are now consigned to the Tokyo National Museum. Please note it is not possible to visit this pagoda and you can only get close-by if you buy a ticket to enter the Zoo. However, it is possible to get a good view from nearby Toshogu Shrine. The pagoda as seen from Toshogu Shrine. Unlike popular belief among tourists and Japanese alike that the large Senso-ji temple in Asakusa is old, even the oldest place in Tokyo, it is rather the adjacent shrine that stood the test of time. This shrine, also called Sanja-sama (Shrine of the Three gods), honours the three men who founded Senso-ji and was commissioned by Tokugawa Iemitsu (1604-1651, reign as shogun: 1623–1651). 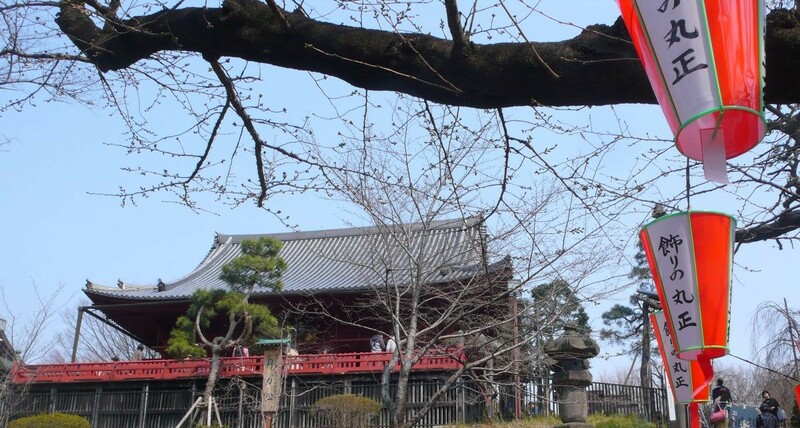 It is seen as a representative building of the gongen-structure building method from the early Edo period (1603-1868), which means that the worship hall and main sanctuary are connected under the same roof through an interconnecting corridor. The withered red building is the main stage of the Sanja matsuri, one of the wildest and largest Shinto festivals in Tokyo, held each year on the third weekend of May. Front view of Asakusa Shrine. This shrine also used to belong to the earlier mentioned Kan’ei-ji temple. It was built in 1627, then rebuilt in 1651. This temple enshrines the first Shogun of the Tokugawa Shogunate, Tokugawa Ieyasu (1543–1616, reign as shogun: 1603–1605). 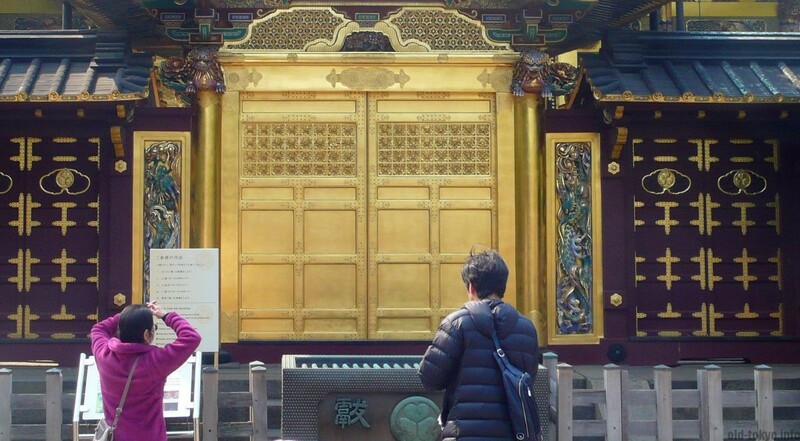 The Tokugawa’s used a lot of gold to show their power during those days, and that is one of the main things that jump at you when you visit this shrine. The shrine, karamon (Chinese style gate) and the sukibei wall are all from 1651. It reopened in 2014 after five years of renovations, making it shine like never before. Karamon gate of Toshogu Shrine. 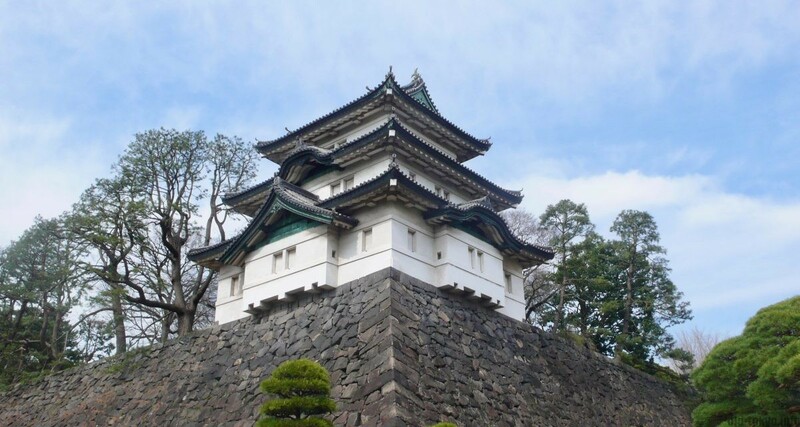 This three-storey square-shaped watchtower at former Edo Castle thanks its name from the fact that Mt. Fuji used to be visible from the tower. Edo Castle used to have many of these watchtowers, but this one is special as it became the symbol of Edo Castle after the castle’s main tower was not rebuilt after the great fire in 1657. The curved walls are built according to the uchikomihagi construction technique in which stones are stacked to create a wall and then hit with hammers to create a flat surface. The white building perched on the 15 meter high wall makes it a truly beautiful sight. The Fushimi-Yagura watchtower nearby is also dated around mid-17th century, but the exact date is unknown. Number 2 is around the same spot as number 4.